The Cheshire Triathlon is set in Nantwich, Cheshire and has been enjoyed by thousands of competitors for 26 years now. The event is aimed at all abilities and fitness levels, from complete novice to club and pro triathlete, as well as charity and fun competitors. The course is spectator friendly for supporting family or friends and a fun and relaxed atmosphere is guaranteed. There will be attractions and facilities available at the park for the triathlon including hot and cold food, refreshments, toilets, a play area with swings and slides that all make for a great day out for the family! 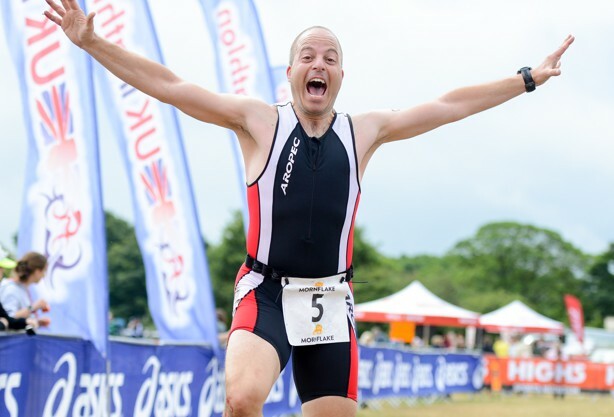 At the Cheshire Triathlon our “Fun” and “Sprint” distances are very popular with first timers and beginners, with short achievable distances that still offer a challenge. Our fun & friendly events are open to everyone and an ideal introduction for beginners to the sport of triathlon. The Cheshire Triathlon offers a supportive environment, with cheering crowds and a fun & relaxed atmosphere meaning everyone enjoys the day, competitors and friends & family alike. The event starts with the swim in the only heated outdoor brine swimming pool in Great Britain, followed by a one lap 13.4 mile cycle around the South Cheshire countryside until returning to the Barony Park in Nantwich for the final run, in and around the park itself. So why not enter now and take part in one of the largest participant triathlons in the country. Yes all really helpful and supportive. Excellent event despite the weather. Thank you one & all! So as you can see to complete the pink wave is something I'm extremely proud of.